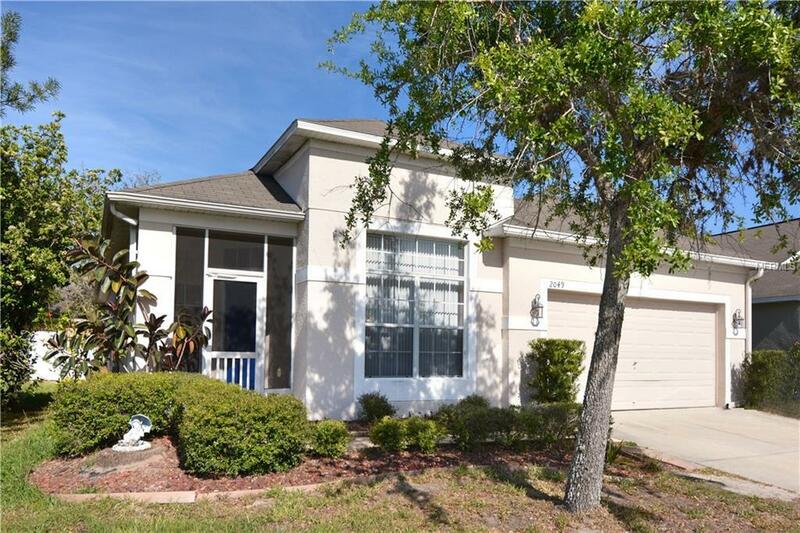 Excellent value on this charming 4BR home in desirable Cypress Lakes. Room for everyone and everything! Step inside to formal living and dining space versatile to arrange as you see fit. Walk on back to the heart of the home where youll find your open kitchen and family room. Kitchen boasts plenty of counter and cabinet space, island w/overhead pot rack, closet pantry and a generous sized eat in space. Family room provides direct access to the covered lanai. Split bedroom plan with master suite in the back of the home, ideal for privacy. Large bedroom with walk-in closet and classic contemporary bath w/jetted tub, dual sink vanity and separate shower. Remaining bedrooms/bath tucked down the hallway off the kitchen. Youll appreciate having an interior laundry room. And youll enjoy a covered lanai and private, fenced backyard. Special features include solar-reflective exterior paint designed to make the home energy efficient (lifetime warranty), unique screened entryway in front of home, water softener and a solar water heater! Cypress Lakes has a wide variety of attractive amenities: pool, tennis, fitness and more! Short drive to essential shopping, and SRs 50/408. Youll love living here! Come see all that that this home has to offer! Additional Lease Restrictions Buyer To Verify Restrictions With Hoa.